specific to each country eventhough data storage is always same. This is tedious task for java programmers to handle of formating the same data to specific country. 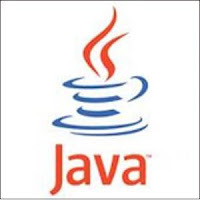 java introduced Globallization and localization concept. As part this there are number of formatting classes including NumberFormat are introduced in java.text package. What is internalization(i18n) and localization in java? internilization is a concept programming technique to code in sucha way that any software applicaitons works for multiple languages as well as countries. data from application should be displayed as per the locale specific. Usually, considering financial applicaiton, the data stored in backend database is always same ,but the format for displaying is always different for each country. that means USA has dollar symbol as currency in representing any price of object and dollar always displayed before the price number ($100) Where as India has different symbol for currency and this symblo should be displayed after price of any number (100 Rs). So we have to write a applicaiton in sucha way that it supports multiple languages and multiple countries. the 1000000.11 number is stored in database and should have to display based on thousand separator as per specific country, that means, If i am accessing the applicaiton from USA, USA specific format should be displayed. NumberFormat solves all above display of all the number formating capabilities as just mentioned above. java provides API for solve all those display formats NumerFormat is one of the class in java.text, with these we can format the below cases. NumberFormat examples:- These examples are used to give basic idea of NumberFormat class or Subclass using custom format. 1. How to format a number to thousand separator? and third way is using NumberFormat java class. pasting the code using NumberFormat example. Format object format thes double/float number to 4 digits after decimal point. This example also round the double value apply the decimal places for specific pattern. 3. How to display the number in currency format?